Who we are, what we believe, and how we practice our craft. lasting impact on their lives. A sobering thought. affirmative. Ultimately, it drives us. time well spent, for both of us. relative to the ultimate context in which it is constructed, your life. Manhattan, we will come to you. The Harbor Group. Building net worth, building peace of mind. Paul has been helping individual investors achieve their goals for three and a half decades. At Harbor, he is responsible for all fixed income investing, primarily utilizing U.S. government bonds, agency paper and municipal bonds. In addition, he closely collaborates on all customized client portfolio solutions with partner, Harold Cohen. He began his career at Butcher and Singer, Inc. in Philadelphia, training under the firm’s chief technical analysts, serving the fixed income needs of small-to-mid-sized pensions, primarily in the healthcare field. In 1990, he was recruited by Hartford-based, Advest, Inc., and in 1993, was elected to the firm’s board of directors, then the youngest person to serve in that capacity. At Advest, the foundational plans for what is today The Harbor Group were formed. In 2005, Advest, Inc. was acquired by Merrill Lynch. Pre-closing, Paul shifted Harbor’s affiliation to UBS Financial Services. 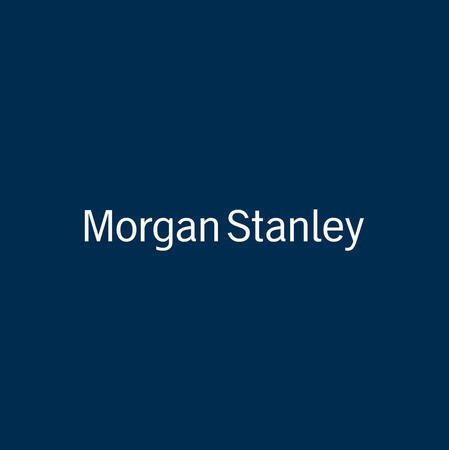 In 2011, Harbor joined Morgan Stanley Wealth Management, where it resides today. Active philanthropy is an important part of Paul’s life. As such, he chairs his family’s private foundation, which is dedicated to solving food security issues in his home state of Maine. An avid fly fisherman when not working, he can be found stalking the elusive bonefish in the Bahamas, or chasing big trout while camping in an Airstream trailer on the banks of the Yellowstone River with his wife of 37 years, Vicki. He is a director of the Anglers’ Club of New York, and a member of the Lotos Club. He divides his time between residences in Bath, Maine and Manhattan. Paul is a graduate of the College of William and Mary. Harold is responsible for all equity investing at The Harbor Group, including overseeing the relationships with, and due diligence on, the equity managers utilized to help Harbor’s clients achieve their financial goals. In addition, he oversees all client financial modeling. After being awarded his CPA, he began his career in the consulting division of Deloitte and Touche. He spent the next decade traveling the country on a multitude of assignments, primarily helping to rehabilitate companies which were in danger of foundering. His work with distressed companies gave him the ability to analyze a set of numbers and convert them to a real life action plan leading to a successful outcome. In 1998, with a growing family, and a desire to not travel three to four thousand miles per week, he was recruited by Paul Skydell to form what is today, The Harbor Group. Over the past twenty plus years, working with individuals as opposed to corporate entities and boards has been extraordinarily gratifying for him. Harold enjoys time spent with his sons and wife of 35 years, Peri. He resides in Hewlett Harbor, New York. Harold is a graduate of Hofstra University. Rosa has been in the Financial Industry over 30 years, joining The Harbor Group in 2006. Rosa focuses on developing and maintaining strong client relationships, and enjoys supporting client needs and goals. She views each interaction as an opportunity to enhance the client’s experience. Rosa is versed in order executions and operational management of Harbor’s various investment models. Rosa enjoys travel and adventure with her partner Joe. Trained as a fine artist, Rosa continues to paint in oil and explore the natural world through her art. She also enjoys hiking with her two rescue dogs, Harley and Penny. Rosa is a graduate of Southampton College. She holds her Series 7 and Series 63. Drawing on more than 25 years of experience in the financial service industry, Paula seamlessly manages the myriad of all client service activity at The Harbor Group. In particular she is responsible for insuring that every client of Harbor Group is scheduled to meet with one of the principals on a regular basis, and prepares the analytics reports for the meetings. Community service is an important part of her life. As a member of Alpha Kappa Alpha Sorority, Inc. she volunteers a lot of her time with at risk youth in her home town of Queens, New York. When not at work Paula enjoys spending time with her family, yoga and is also an avid film buff. Paula is a graduate of St. John’s University and holds her Series 7,63, and 65 securities licenses.